Complete Coverage of Latest Syllabus of IBBI. 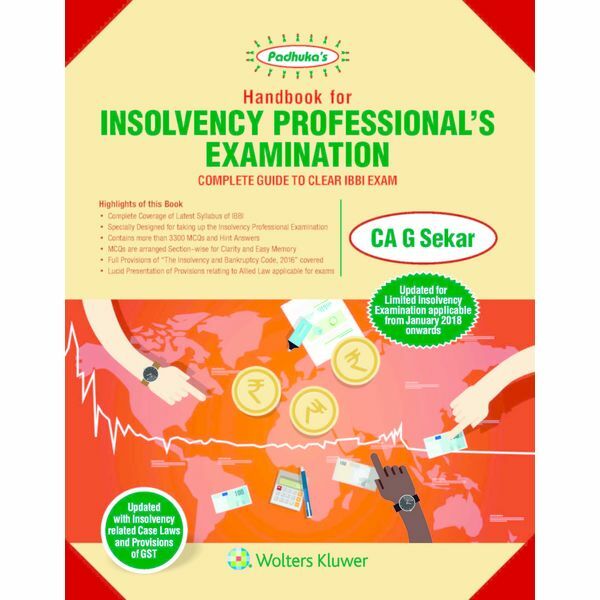 Specially Designed for taking up the Insolvency Professional Examination. Contains more than 3300 MCQs andHint Answers. MCQs are arranged Section–wise for Clarity and Easy Memory. Full Provisions of “The Insolvency and Bankruptcy Code, 2016” covered. Lucid Presentation of Provisions relating to Allied Law applicable for exams. Updated for Limited Insolvency Examination applicable from January 2018 onwards.